I first heard of Redeemed Jewelry several months ago when I saw a necklace of theirs on an Instagram auction. I loved the creative and inspirational designs on each necklace in their shop, and became a huge fan. I’m so excited to be featuring them here today on Center Stage and sharing their jewelry with all of my followers. Lara and Barb of Redeemed Jewelry were kind enough to send me these two necklaces to facilitate this post. 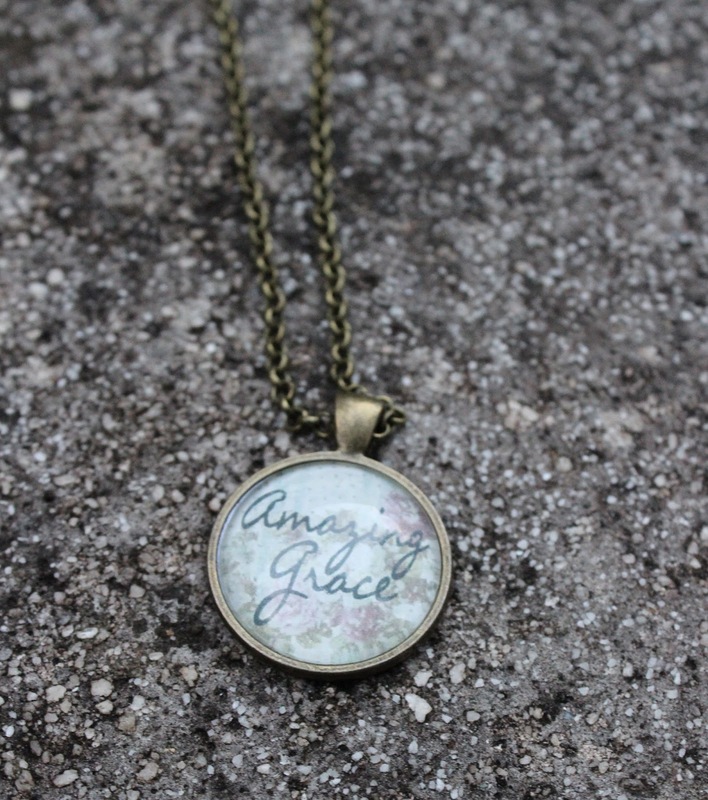 The Amazing Grace necklace has the prettiest colors and a very simple yet adorable design, and the other necklace has lyrics from one of my favorite worship songs, Oceans by Hillsong United, and adorable charms that really make the necklace a subtle statement piece. 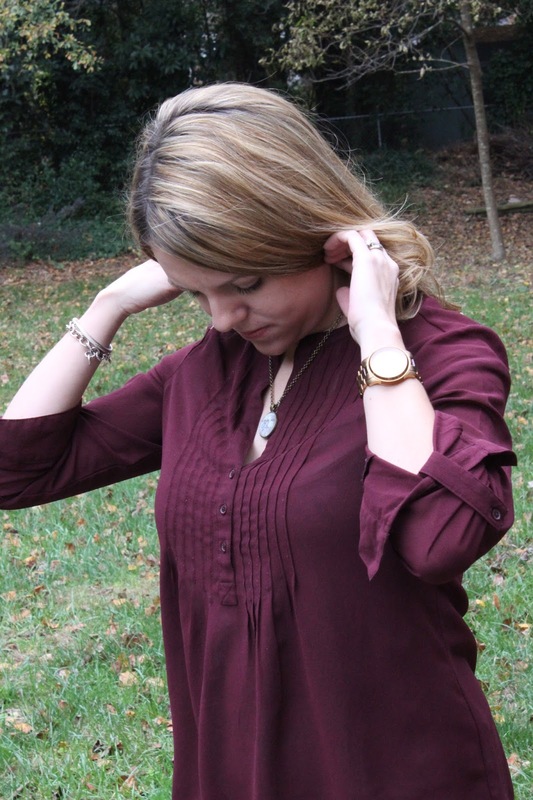 Each necklace is sturdy, well made, and the perfect addition to any outfit. I love that these necklaces have messages on them that will uplift me every time I look at them throughout the day. Because of this both necklaces have come to mean something very special to me. The Hillsong necklace is white with black lettering, making it easier to wear with more colorful outfits, although it is bigger so I do have to take that into consideration when styling. The Amazing Grace necklace is a great size I think for putting together an outfit, but the colors in it restrict more what I can wear it with. 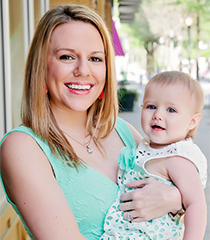 “Redeemed Jewelry began when two best friends, Lara & Barb, decided to share both their love for jewelry and their love for Scripture with others.The inspiration for starting our business comes from Proverbs 3:3, “Let love and faithfulness never leave you. 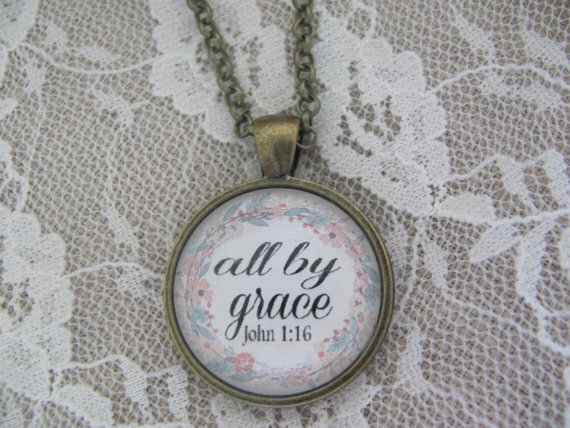 Bind them around your neck, write them on the tablet of your heart.” With this as our guiding verse, we design pendant jewelry with Scripture on it in a variety of styles. Our mission is to create beautiful Scripture necklaces that will encourage and inspire those who wear them, gift them, or read them. WEAR and PASS ON the blessing of God’s word is our goal. 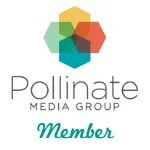 I was compensated for this post in the form of products to review. Regardless, all thoughts and opinions are my own and I only recommend products I truly love. These are so pretty!! Thanks for the great giveaway! I would love the perfectly Loved necklace on page 4. It is so pretty! I love the "Be Brave" and "Today I Will Choose Joy" pendants. Beautiful and inspirational. I thought it was funny that I was listening to "Oceans" when I came across your post. I would definitely have to get that necklace! WOW! I love the necklaces, especially "Today I Will Choose Joy." Such an original and inspiring idea. Beautiful pics as well. Oh my goodness, I LOVE these! Perfect for Christmas gifts!!! Those are really pretty pieces. Love how old they look. This is so cute! I have a friend who would love it. Thanks for the chance to win. I love the Bible Verse pendant necklace. 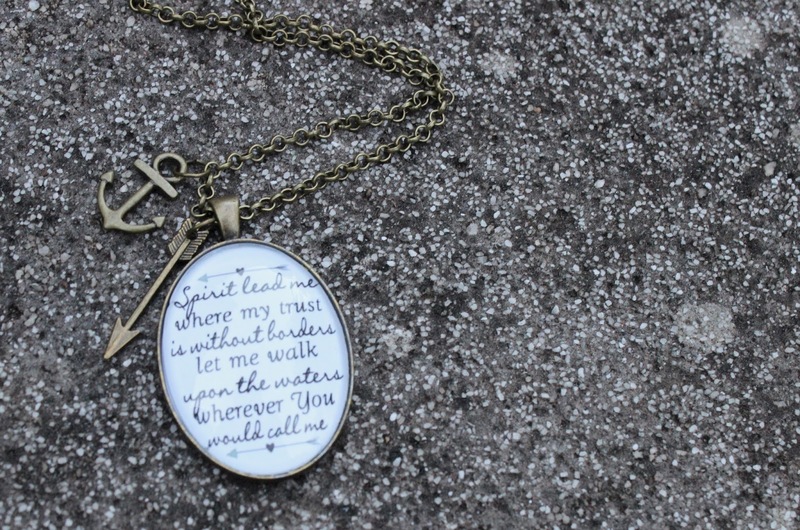 ONE OF MY FAVS IS Bible Verse Pendant Necklace "We have this hope as an anchor for the soul. Hebrews 6:19"
That is the necklace I would choose. These are very lovely. I think they would make wonderful gifts for daughters and friends. I really like the bible verses and song lyrics in them. What a great giveaway! I love the jewelry, it would surely make a great gift! Those necklaces are beautiful and I LOVE that mint floral sweater! Where is it from?! 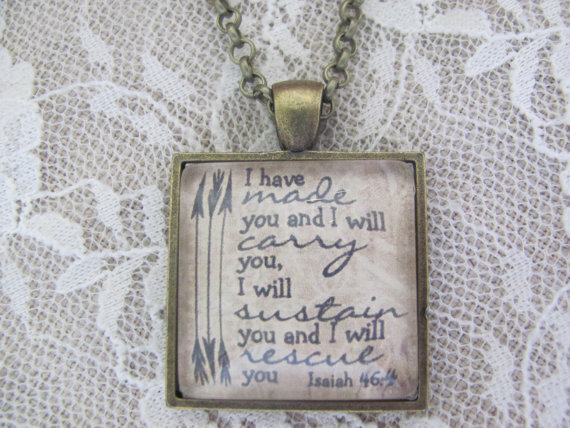 I love the Bible Verse Pendant Necklace "God is in the midst of her, she shall not be moved. Psalm 46:5"
What beautiful necklaces, I love them. So beautiful! I love the versed on them! They look like really beautiful statement necklaces, lovely giveaway shame its just US. Such beautiful pieces with meaningful and powerful messages. 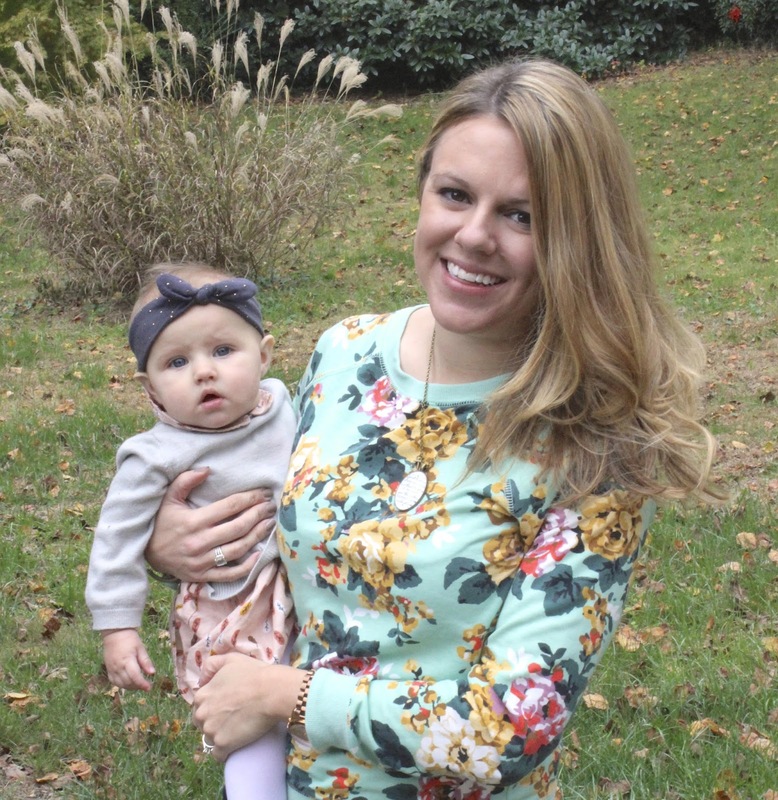 These are really gorgeous pieces – I just can't get over the cuteness of you and your bub! Too beautiful! Love the anchor and the arrow charms. So gorgeous. I love the text written on them! oh! 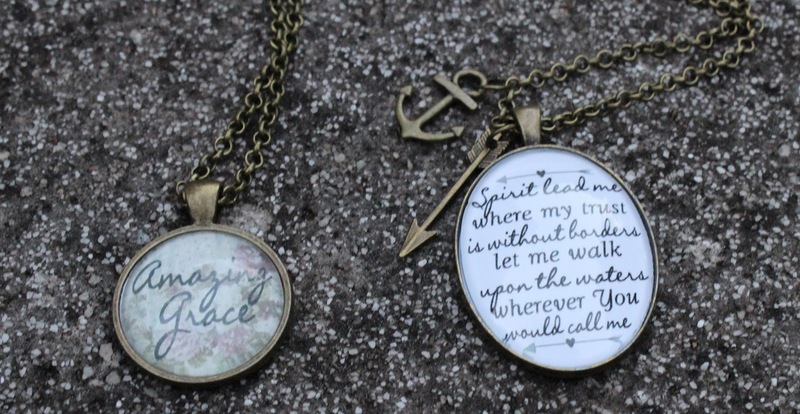 i love them…what a great thing to have verses around your neck and on your heart! What an awesome necklace. This would make a great gift. These are so beautiful and sweet! Kind of like that baby! Psalm 126:5 Teardrop Pendant Necklace "Those who sow in tears will reap with songs of joy." is my favorite! 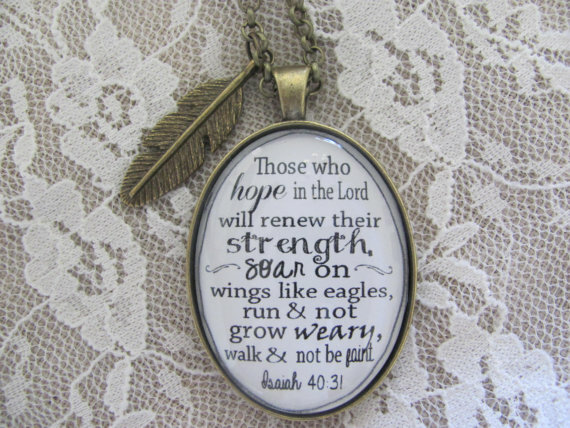 I love the Bible Verse Pendant Necklace "She is clothed in strength and dignity and she laughs without fear of the future. Proverbs 31:25"! Beautiful sentiments and designs, they reinforce each other wonderfully and I can see them becoming treasured pieces. Great gift idea! I like the Custom photo necklace. Precious! I love the vintage look they have to them! These are very pretty! Such a great gift for someone this holiday as well. I will definitely check them out. Thank you for posting. 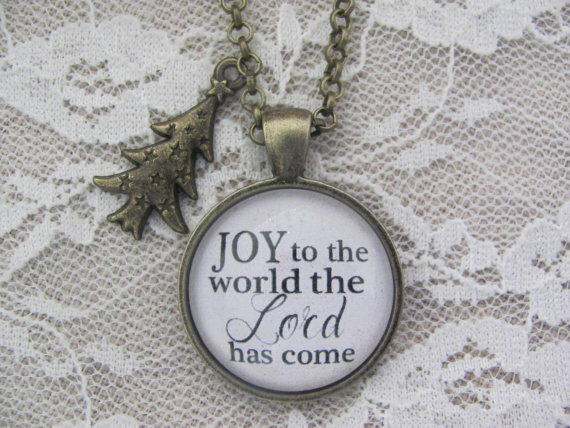 The "Today I Will Choose Joy" pendant necklace is one of my favorites. These are gorgeous! Lovely affirmations to carry with you through the day.